Just forget about FTP server and focus on the bottom of the topology. We will use the FTP server in one of the next articles. 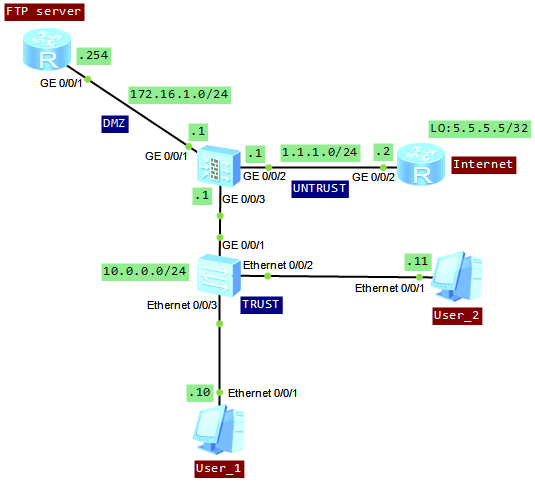 The main requirement in this lab is to configure the firewall, to provide access to the Internet for intranet users, on network segment 10.0.0.0/24. The configuration of NAT for all above methods is the same. The difference lies in the configuration of NAT address group. And now the promised configuration of NAT. In this case one private IP address will correspond to one public IP address. To achive it, I will create NAT address group with No-PAT option. NAT No-PAT is also called one-to-one address translation. 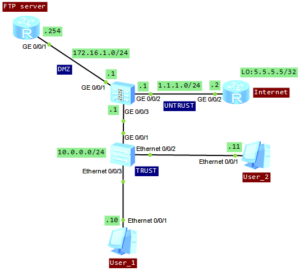 During the translation, the source IP address of a packet is translated from a private IP address into a public IP address, while the port number is not translated. 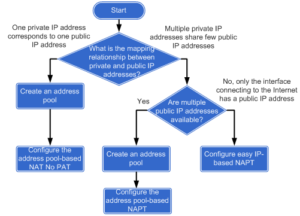 It means that, when a private network host adopts one public IP address, this address cannot be used by another host because all the ports of public IP address are occupied. 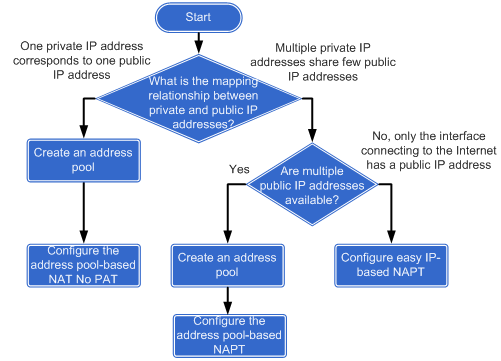 If the interface IP address is adopted as the public IP address directly, no NAT address pool is required.